How KLIM, Leatt, Giant Loop, Trail Tech, Pro Moto Billet, Rekluse and Rotopax fared in our ultimate crucible. Photos: Martin Hackworth, Megan Broyles, KLIM, Trail Tech, Giant Loop, Pro Moto Billet, Rotopax, Rekluse. 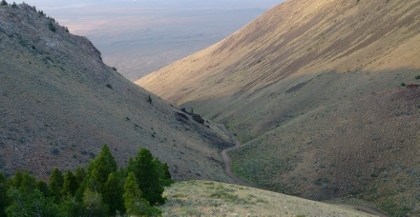 The Tour of Idaho is our ultimate dirt bike test crucible. This year's Tour included over 1500 miles of body, gear and bike rending terrain. If the things that we take with us can withstand a week of persistent, flagrant abuse, we figure that they'll do just fine for just about anything else. The following is our evaluation of a few new items we found to perform in a particularly meritorious manner during the 2013 Tour. First, a couple of small items that made this year's Tour rock. Though solo riders tend not to dirty up filters as fast as those riding in groups, filter skins from PC Racing made keeping the filter in my open air box clean easy. As long as you oil them properly, you can actually stack a few of them together. Two got me all the way through the Tour. They are inexpensive enough that I disposed of them at service stations when they started looking dirty. These inexpensive problem solvers are as close to a no-brainer as it gets. Nike's Pro Combat Hypercool 2.0 Fitted Short-Sleeve Shirt is perhaps the best base layer we've found for dealing with the heat and sweat you'll have to deal with all along the way during the July and August heat. This shirt is amazing, and kept me comfortable even under body armor and a neck brace. Highly recommended. 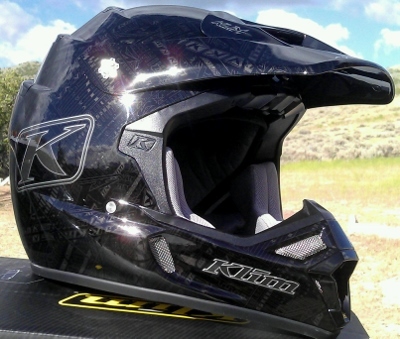 KLIM F4 Helmet We were able to secure from KLIM a newly released version of the new ECE certified F4 helmet. Though the ECE (European) certified model is not DOT approved, Idaho does have a helmet law, so certification is of no consequence on the Tour - but the fact that the ECE F4 is nearly a pound lighter than the Snell approved version, is. As much as we liked the old F4, which is simply the most ventilated helmet available, this one tops it. As we said in our F4 review from last year, to wear one is to want one. Now the F4 is not only the best-fitting, most ventilated helmet out there, but the ECE model is also one of the lightest. I can't for the life of me figure out why anyone would want anything else. 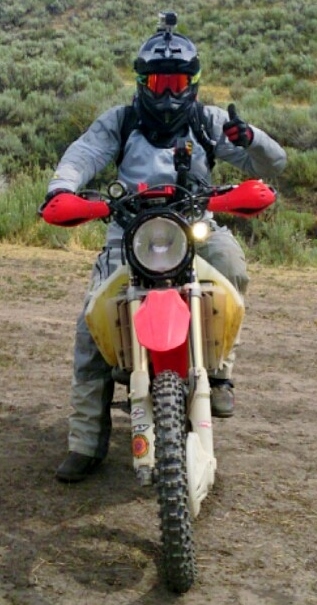 For the past few years I have ridden the Tour in KLIM Dakar Pants. The Dakar Pant provides 90% of the ventilation of the flow through Mojave Pant, and is practically as comfortable in bright sunlight in light grey. The difference occurs when the vents are zipped shut. The Dakars then provide a level of versatility in handling cold that the Mojave's do not. Dakars are serious, utilitarian garments that will do you right in a variety of circumstances. Festooned with useful features, comfortable, durable and easy to get on and off, Dakars remain my favorite off road pant. 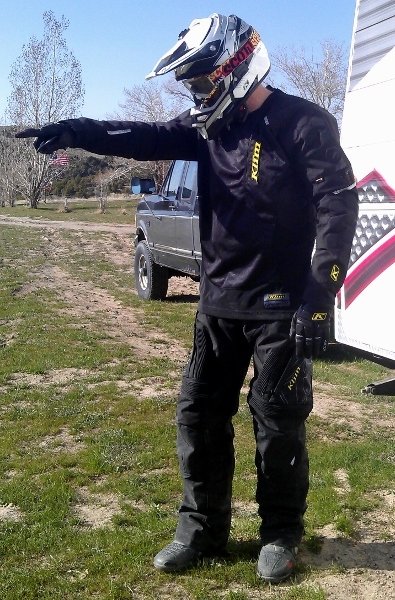 For a 2013 T1 jersey I chose the Dakar Pro - which happens to be not only the toughest jersey I've ever worn, but ventilates better than either the flow-through KLIM Mojave and Mojave Pro. 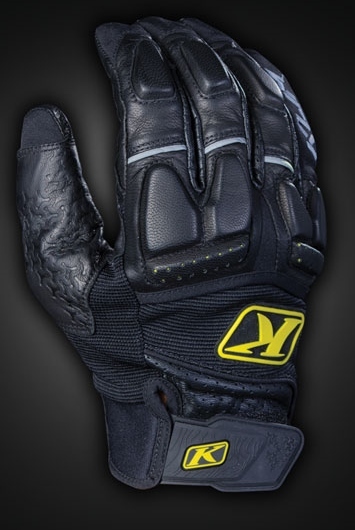 KLIM Adventure Glove Imagine the world's toughest mesh jersey, with some really trick features for discerning riders, and you've got the Dakar Pro. The Dakar Pro Jersey is a bit spendy at nearly $140, but KLIM, at least in my view, is to actually be commended for bucking the trend toward inexpensive price-buster moto products of poor quality (Can a $10 garbage bag jersey be far into the future?) and coming up with a well-designed, superbly-crafted jersey that will last for years. For the Tour of Idaho, you'll want one of these. The KLIM Adventure Glove certainly proved its mettle on this year's Tour. These are the first pair of gloves I've ever gotten all the way through the Tour without blistering my hands. The KLIM Adventure Glove is basically a high-end enduro glove made of leather. The Adventure glove is lightweight, water resistant, sturdy, protective, amazingly well-ventilated and stretches to conform to your hand in all the right places. It is also just about the nicest feeling glove out there. Even in black, my hands never got unduly hot, and the extra levels of protection and comfort make these a no-brainer. I also had a set of KLIM Mojave Pro gloves along for the ride, which are KLIM's high-end fully ventilated glove, and I was unable to discern any great difference between them in terms of temperature. Whatever amount of air flow you sacrifice with the Adventure is more than made up for by the extra comfort, protection and tactile feel that a pair provide. the system has a capacity of three liters. 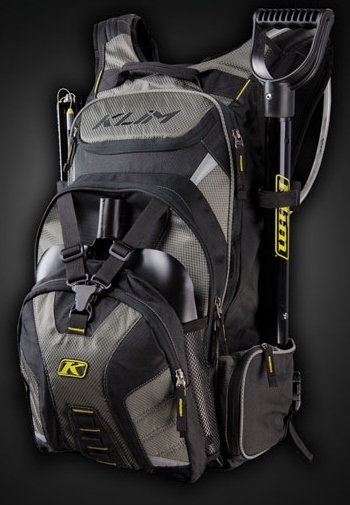 All of the zippers and other accouterments are of typical KLIM quality, which is to say top notch. In each of the previous years I've ridden the Tour, I've used an OGIO Flight Vest combined with either a fanny pack or some other cheaper backpack. This year I used the KLIM Krew Pak, a set of Giant Loop Mojavi bags and the incredibly useful Giant Loop Zigzag handlebar bag for tools. As far as I am concerned this is the hot setup. The Krew Pak is setup much better than a standard backpack for riding and is festooned with useful features. 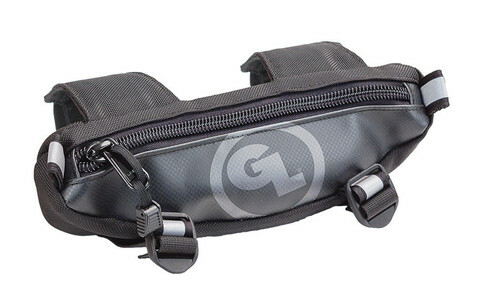 All of these bags are easy to attach to either your bike or yourself, are very rugged, versatile and reliable, are easy to use, and have unobtrusive profiles when flying through the trees. All provided way more capacity than I needed, but that wasn't all bad. Bags that are crammed too full are difficult to load, unload and sort through when you need something. It was really nice to have extra room that I didn't have to use without adding a lot of weight or bulk. The GPX Trail brace is a lower-profile, lighter version of the standard Leatt MX brace that allows a little more unrestricted head movement. It is an outstanding product, simply the best neck brace I've ever used, and something that I now will not ride without. 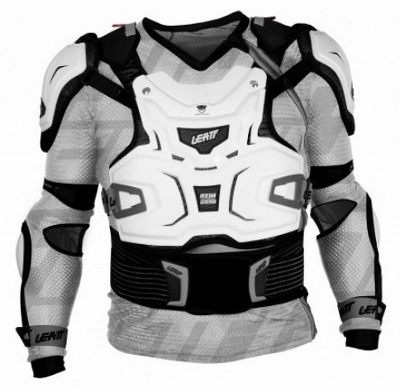 The Leatt Adventure Body Protector is another story. When I pulled the pressure suit style Adventure Body Protector out of the plastic bag that it came in, I discovered that the supplied hanger (something that you'll actually need to hang up the armor after use) was defective - a harbinger of things to come. But first the good news - the Adventure Body Protector is incredibly well-designed. It's a little heavier than it probably needs to be, but it wears well once you have it on and fitted to your particular torso. The ventilation is much better than one would expect by looking at it. Protection is superb and integration with the Trail GPX brace is seamless. High marks all around. What lets down the Adventure Body Protector is it's construction. The sewing is poor, zippers don't match (not even the same length) and the whole thing is just poorly assembled. Assuming the unit that we received is not the only one of these with quality control issues, the folks at Leatt must be going crazy over the fact that such a well-designed product is currently sabotaged by abysmal assembly. If Leatt wants to keep selling these, they need to find someone to camp out at the factory where Adventure Body Protectors are made, with a case of Red Bull and a sharp eye for miscreants, and address their issues with poor craftsmanship. 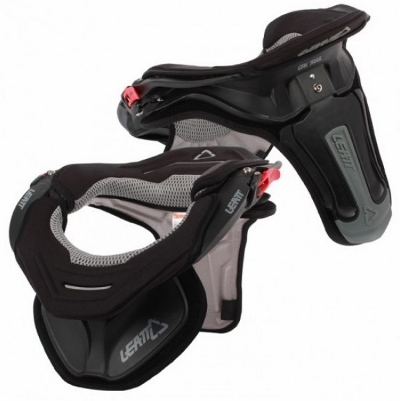 One of the reasons that I suspect that I am not the only one with an Adventure Body Protector that isn't a sterling example of craftsmanship is that the Leatt Dual Axis Knee Guards I ordered up for this year's Tour suffer from the same issues. Just out of the box, these CE approved knee guards look great. They are fabulously light, very well-ventilated, very protective and, at less than $100, a bona fide bargain as well. These are perhaps the best knee guards in their price range ever designed. It's the assembly, once again that leaves something to be desired. My particular issue with the Dual Axis Knee Guard has to do with the straps. Yes, I have calf muscles, but far from the biggest pair that anyone is likely to strap a set of these around. The straps on both of my Dual Axis Knee Guards are obviously way too short, even at maximum extension, for anyone who is not a skinny 10-year old. We checked, just to be sure, and they are indeed the proper adult size. The straps, nonetheless, would dig grooves into my leg muscles each day that were still there the next morning. I almost binned my $90 knee guards at a gas-station dumpster rather than deal with them any longer after about the third day on the trail. If the straps were even an inch longer (they really need to be two or three) the fit and comfort would be superb. It's maddening to see such an otherwise great piece of gear let down by quality control issues. Someone at Leatt really needs to put a foot in some fannies somewhere. 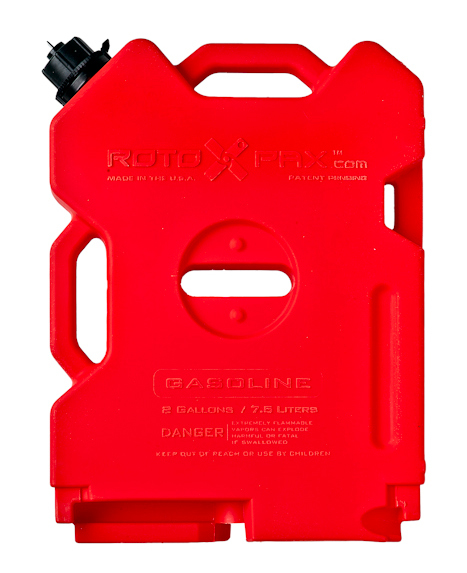 The rack/Rotopax combo was much better than my old 2-gallon fuel bladder for the Tour. 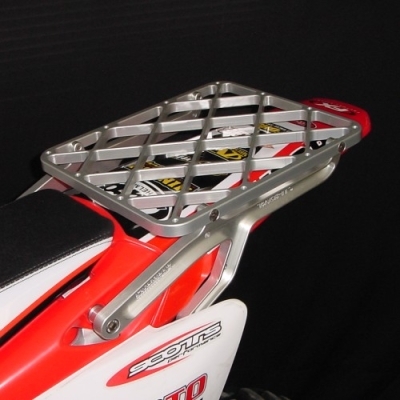 The Rotopax has mounting options that allow you to secure it to just about anything, and getting it secured to the Pro Moto Billet rack was a snap. The Pro Moto Billet rack, in fact, worked very well with both my GL Mojavi bags and the Rotopax. It all fit together perfectly. Although the rack and Rotopax weigh more than the fuel bladder they replaced, they form a far more secure setup. The Rotopax is way less likely to leak than a bladder, or suffer a catastrophic failure in a crash. About the only disadvantage is that you can't roll the rack and Rotopax up and strap them to your handlebars when not in use. I found, however, this setup to be unobtrusive in use all most all of the time. It was also nice to have a full load of fuel more evenly distributed across the front and rear of the bike. 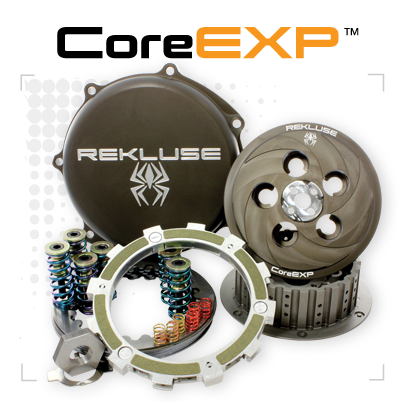 We've previously praised the Rekluse Core EXP auto-clutch that we put on my CRF450X earlier this year. We have adjusted this unit twice in five months of hard use. It performed flawlessly throughout the Tour and needed no adjustment after I finished. It's the beefiest clutch I've ever used, and our praise for this product after our short-term review still holds. One thing that we've discovered about our Rekluse clutches after several oil changes is that they are sensitive to the type of oil that you use with them. 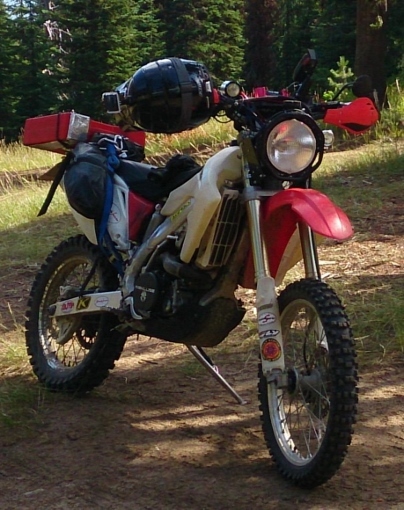 In my CRF450X, I've discovered, purely by accident, that a mixture of Shell Rotella and Mobile One works the best. Smooth as silk. One of the things that we planned on adding to the bike but did not have the budget for before we released our last Rekluse review, was a left-hand rear brake kit. 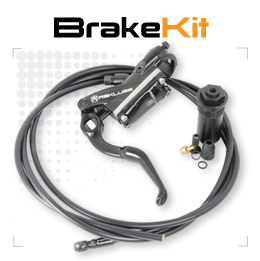 The Rekluse left-hand rear brake kit is possibly more useful that the Rekluse Core EXP itself. The ability to grab some rear brake without shifting your feet on the pegs is invaluable - as is its utility in handling tight switchbacks. The kit is very easy to install and crafted to typical high-quality Rekluse standards. Our only nit with the entire kit is with the seat for the O-ring that sits at the base of the Rekluse master cylinder sleeve - the part of the kit that slides into the current master cylinder and relocates it's function to the new master cylinder on the lever itself. The lack of any sort of a bevel on the sharp outer edge of the seat almost guarantees that you'll shred the first O-ring that you use when inserting the sleeve into the old master cylinder - which is probably why Rekluse supplies a spare. Since I was doing this literally on the night before I set off, I was really careful with the second O-ring, which fortunately seated without incident. Last, but certainly not least, is the incredible Trail Tech Voyager and CRF450X mounting kit that Trail Tech provided for the Tour. Rarely have I been so completely blown away by a product that was completely off my radar. We will have a complete review of the Trail Tech Voyager in the coming weeks, but for the time being I would like for it to be known that TT isn't getting this one back. It's the most useful instrument of it's type I've ever used on a motorcycle, and it will be a fixture on all future Tours. The sheer amount of information available through easy to access displays: speed (two ways), engine RPM, coolant temperature, GPS track, to list just a small sample, is incredible. Data logging capabilities are equally impressive, and getting data in and out of the unit could not be more simple. The display automatically adjusts to a variety of lighting conditions (or lack thereof). I never encountered lighting in which the display was unreadable (even without my reading glasses). It is, in a word, awesome. Actually, make that two - it's indispensable as well. The current Voyager is really good, but according to Trail Tech, it's about to get better. 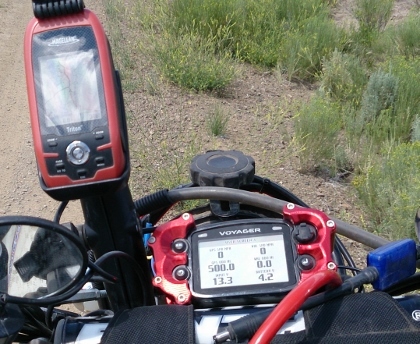 The next generation, which we hope to get our hands on soon, will have a bigger, color screen and a fully functioning GPS with the ability to upload base maps in addition to tracks. We can't wait.